This is a book cover I did for Annie's Publishing - the second in a series called Creative Girls Enchanted Adventures. 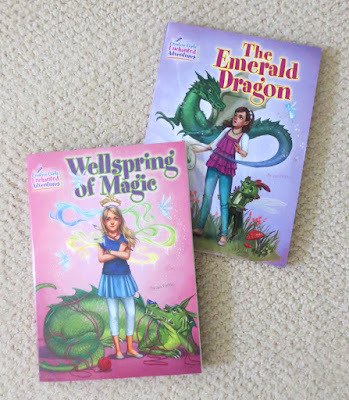 The books are about a group of pre-teen girls who do crafts and discover a portal to a magical kingdom where their crafts have magical powers. This project started out with a bit of dilemma: the book was called the Emerald Dragon, however, the previous cover in the series also happened to have a large green dragon on it. 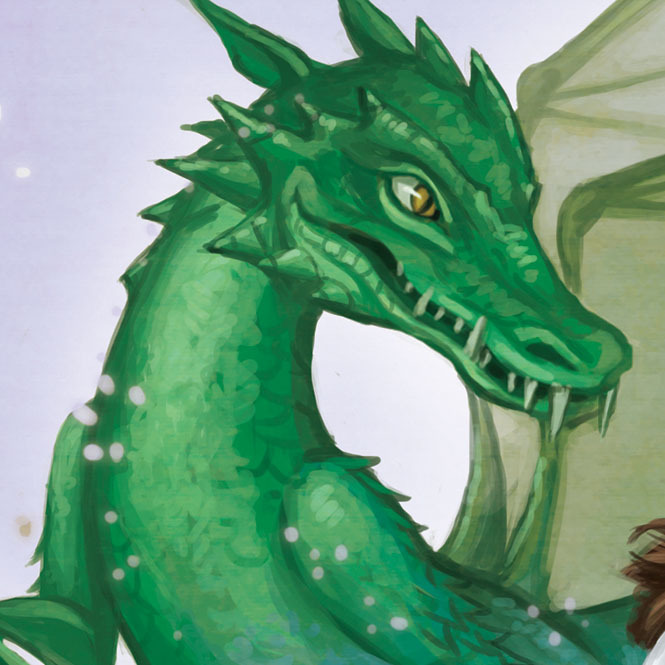 So the first requirement was to depict or suggest a dragon without repeating the first cover. 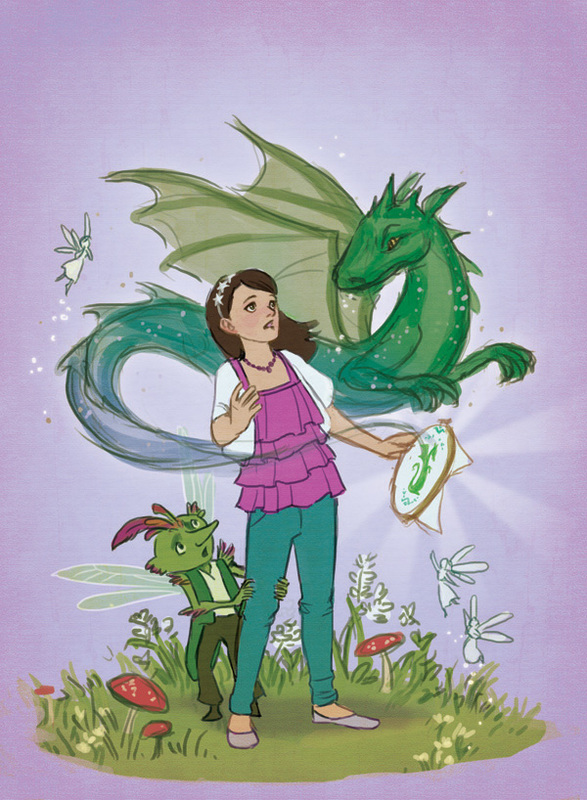 Also, the illustration needed to feature a girl who does needlepoint as her craft. 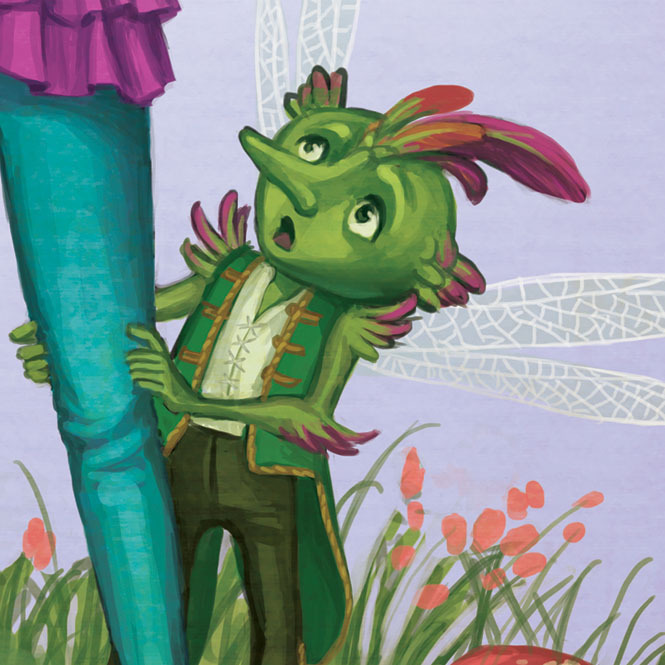 The book also contains creatures called "little people," who are kind of like little green-skinned elves with feathers. "Just do the best you can with that," the art director laughed. 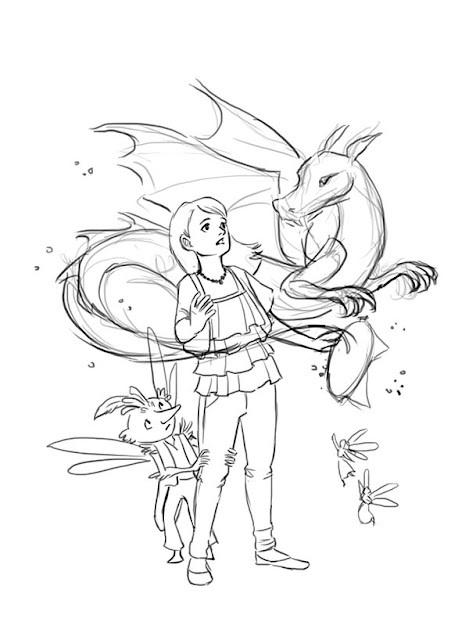 The first two roughs I tried depicting the dragon as a shadow looming over the characters. In the third rough, I depicted a scene from the story where the dragon comes to life out of the girl's needlepoint. The AD liked the third rough, but said that the dragon needed to be much, much bigger and more menacing. Not TOO menacing, of course, but he is the bad guy of the book. 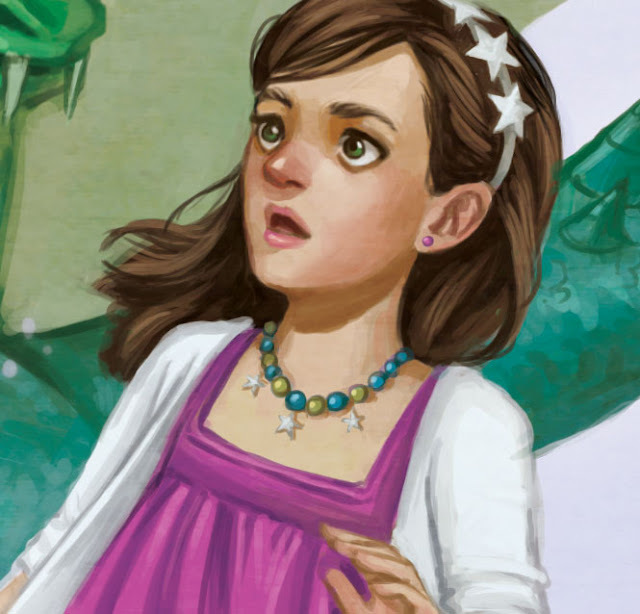 In the color rough I grounded the characters by adding in some grass details. Next was the fun part: finishing up the painting! I was super excited to receive printed copies of both books! 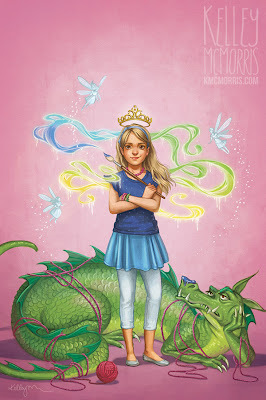 If you're interested in reading Creative Girls Enchanted Adventures, you can find them on Annie's website, or on Amazon. 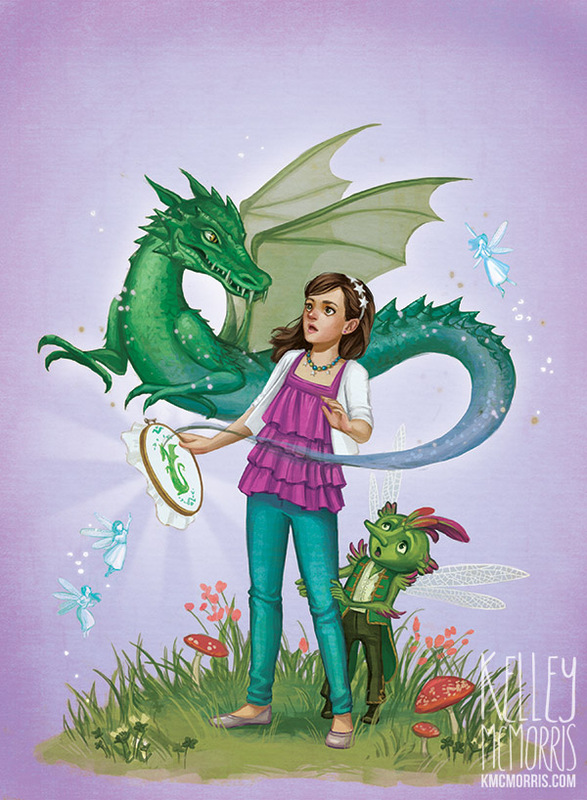 Great cover, one can never have to many green dragons!